Individual churches today have a lively ecumenical consciousness, but they often express anxieties about what will become of them in a future united Church. Questions are being asked about the goal of such unity. 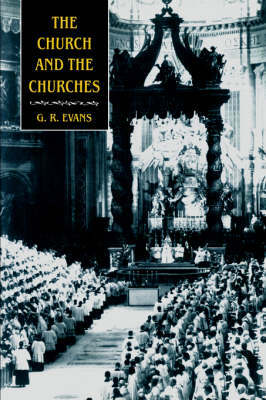 In this book, G. R. Evans asks what we mean by 'a church', and how different Christian bodies have understood the way 'a church' is related to 'the Church'. She surveys the nature of unity and what the fullness of the communion being reached for might consist of; the place of diversity of faith and order in a united Church, or ways in which there can go on being many churches in one Church and how they might be related to it; and questions about the common structures one Church would need, and the way in which it could come to think and act as a single 'body' of Christ. The book concludes with a discussion of the concept of 'communion', which now looks very hopeful ecumenically as a guide to the way forward.